Tales of Symphonia Chronicles is finally being released this week on the PlayStation 3. The fan-favorite JRPG marked a turning point for the series after it first launched on the GameCube back in 2004. After its release to warm reception, Namco obviously thought it was time to aim for the big leagues with its mid-sized JRPG series. 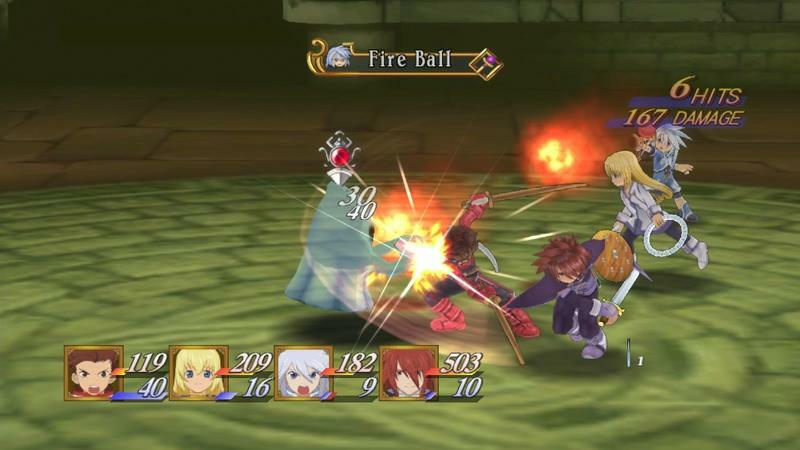 Tales of Vesperia shortly followed afterwards on the Xbox 360, as well as Tales of Symphonia's own dreadful direct-sequel, and there was no turning back afterwards. Tales grew and grew to new popularity it had never enjoyed before and became one of the most prominent series in the genre. The story follows Lloyd Irving, the most cookie-cutter JRPG hero in history with the dorkiest name, as he assembles a large team of misfits to aid in sacrificing his childhood friend to save the world. The main themes of sacrifice and love walk the same plot points as Final Fantasy X but with a much brighter and happier tone. This only makes the darker moments stand out so much more, though. The tonal contrast in Tales of Symphonia is all over the place, but fans of the genre should be immune to this style by now. Tales of Symphonia Chronicles also includes the dreadful Wii sequel, Dawn of the New World, which might be worth checking out only if you really love the first game. Keep in mind though that Lloyd and his friends take a back seat to another cookie-cutter JRPG hero, but of the brooding angsty variety, not the naive charm Llyod has. The entire package is $39.99; the first game alone is easily worth the asking price. I'd love to dive back in, but the thought of an 80 hour JRPG in my life these days just sounds impossible. At the same time, this is the closest I've ever come to being in love with the series, and I would like to give it another shot.